We love the variety of places to elope in San Diego. 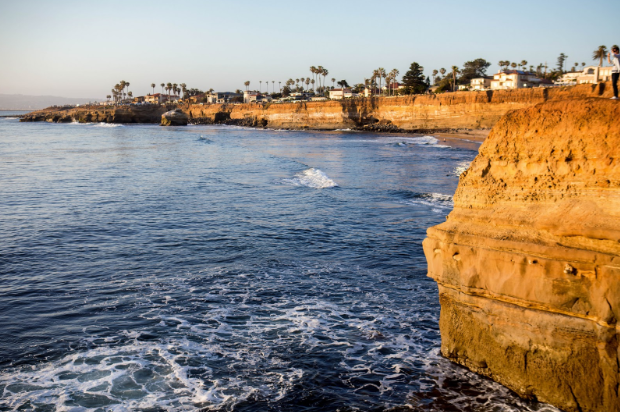 From dramatic cliff-sides, to pristine white beaches with lapping waves, San Diego will provide the perfect location for your special outdoor elopement. If you don’t see your ideal location listed here, reach out and we will help you plan your dream elopement! If you’re looking for a stellar sunset view for your elopement, you can’t do better than a spot actually named for its epic sunsets! 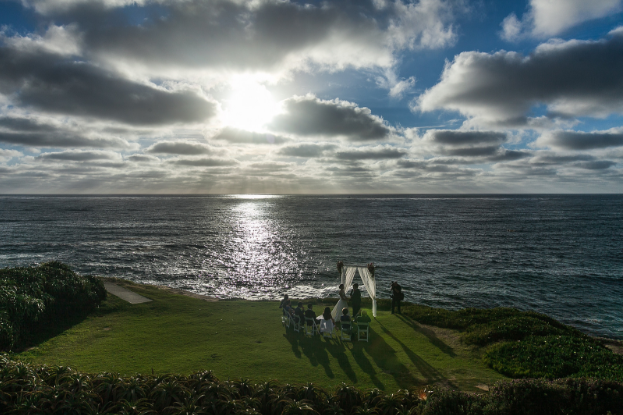 Sunset Cliffs is a sight to behold and is a perfect backdrop for your intimate elopement. For the cliffs, we recommend groups 5 or less, unless you’re willing to hit the beach for your ceremony. Parking can be tricky here, so taking an Uber can be best. Reach out to us for more tips about this ceremony spot! 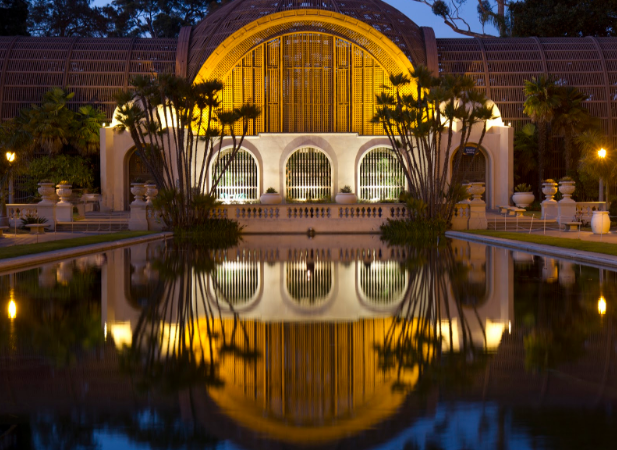 Full of Spanish history and culture, Balboa Park is speckled with amazing architecture, art and water features that is a perfect backdrop for your unique and cultured elopement. No entrance fee or permit necessary when the park is event-free. Ask us about this spot! The Wedding Bowl is a grassy plane overlooking the ocean as part of the La Jolla strip. This is one of the most popular places for small elopements, as it can accommodate chairs and is easy to access. It’s near to the beach and the Museum of Contemporary Art so there are ample spots for great pictures post-ceremony. The Wedding Bowl can accommodate 40 guests or less and does require a reservation. Ask us about this spot! 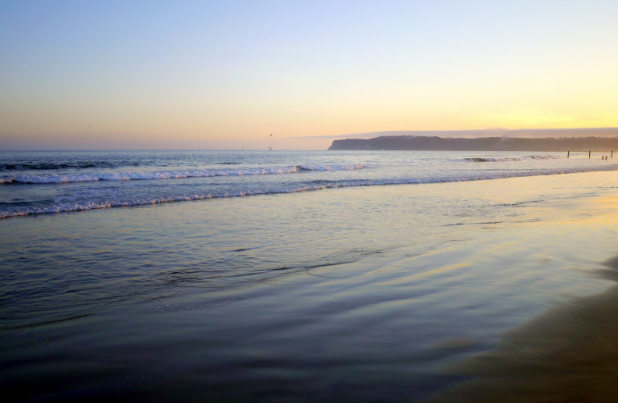 One of the most popular beaches on the whole west coast, Coronado Beach is a long stretch of flat land and mild waves. Perfect for swimming or…eloping! While we can’t guarantee privacy here since it is an extremely populated and popular beach, we can guarantee a lovely ceremony followed by a great portrait session. Beach permit is required. Best for groups 20 or less. Best time for this spot is early morning to avoid large crowds! This spot is popular with the locals so a bit quieter from a touristy front, which means less on-lookers during your ceremony. There are a variety of spots to hold your ceremony here, from the stunning stretch of beach to the long boardwalk. We personally love our ceremonies at Imperial Beach! Permit is required for ceremonies of all sizes. If you’re a fan of VW Vans and Taco stands, you’ll fit right in at Ocean Beach. Perfect for the bare-footed or sandaled couple, Ocean Beach has a very chill and local vibe. If you’re looking for a low-key San Diego elopement, this is the spot for you. Beach permit/reservation is required. Inquire with us for further details!